According to most statistics, Google Chrome is used by around 40% of the world’s internet using population. 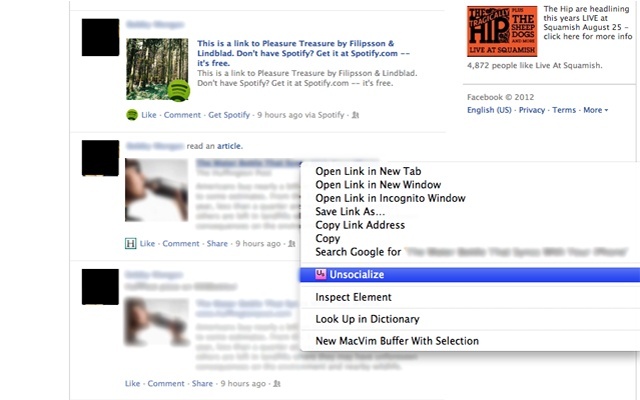 This easily makes it the most used web browser across multiple platforms. Just like Android, more people using it means that you’re inevitably going to find little addons that make a great browser only better. There’s thousands of fantastic extensions/addons available for Google Chrome, but here’s our picks for the top 12! Ever come across a word during your journey across the interwebs that you aren’t too familiar with but don’t feel like searching for it separately to understand what it means? 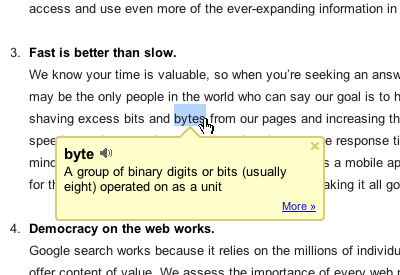 That’s exactly what the Google Dictionary extension is for. With it installed, you can simply double click on any word on a webpage to get a detailed definition , and it supports a few languages other than English as well, very handy! A majority of internet users are moving away from Internet Explorer, but a lot of sites are and were created keeping only it in mind, specially Government Sites. So if you’re looking to say, register for a voter ID, driving license or the like, there might be some problems on Chrome. IE Tab lets you emulate an Internet Explorer environment within an isolated tab in Chrome so you can get your job done without actually using Internet Explorer. Remember those annoying times when you type out a long form only to hit submit and see a network error pop up or see the browser crash? A restore or reload only brings back the empty form and all that time spent filling up the form goes to waste. Lazarus: Form Recovery is an extension that saves all your typed data so that you don’t have to type it all in again. Don’t worry about safety, because the form data is password encrypted on your computer. One of the best password managers and form fillers on pretty much all major browsers definitely deserves a spot on our list of the best Chrome extensions. 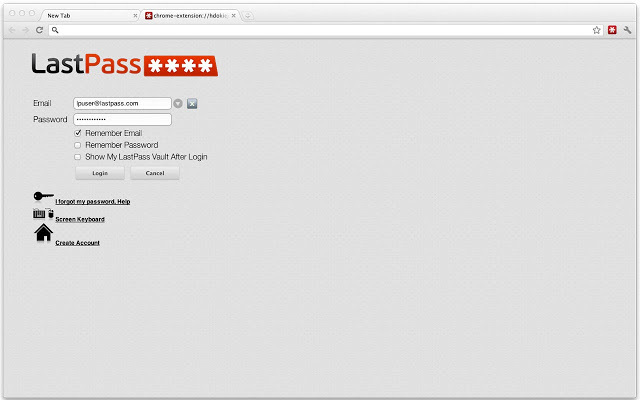 Not only does LastPass let you manage passwords across browsers, but also lets you import data from some major password managers and browsers. Perfect if you have a lot of social accounts or site accounts. Picture this, you’re browsing Facebook and you find something really interesting to read, but it’s unfortunately made to be inaccessible unless you register for a site, or signup or like a page or something similar. This extension adds an option in your right click menu that lets you bypass all these unnecessary formalities and get to the content you want without any hassle! How can any list of must have Chrome extensions not include an ad blocker? Adblock Plus is a very useful addon because it gets rid of annoying ads on all pages, and even on some YouTube videos. There’s really not much else to say, an unobtrusive web experience is pretty much what everyone wants. However, small, static ads that don’t disturb are allowed, there’s a couple of guidelines that Adlock has set. If there’s one thing more annoying that obtrusive ads, it’s country restricted content. Similarly, if you’re behind a network that blocks some sites, Hola Unblocker is the extension you need to get rid of all restrictions. It’s basically a VPN/proxy service that lets you mask your location and origin so that you can visit whatever sites you want, without any trouble. Want to get things faster and more efficiently? Take notes, set reminders and set an agenda for your day. Any.DO is a great app that lets you do all these things on your smartphone, and now the extension lets you keep everything in sync even on your computer. With the added email integration, it makes tasks even easier. As far as productivity goes, Any.DO will definitely help you out. 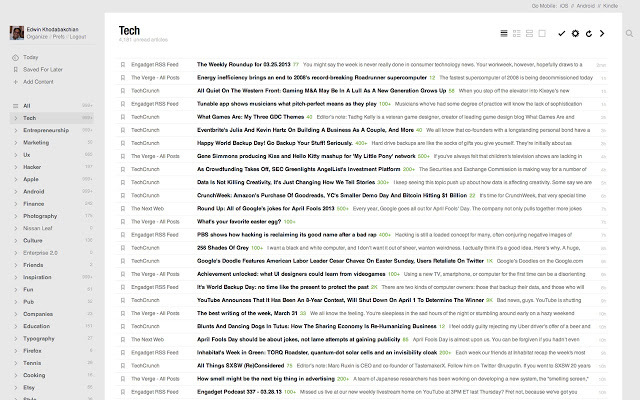 RSS readers are an easy way to keep track of news from different sources and topics. You can subscribe to multiple website feeds and get their updates in an app or program, and the best among them is Feedly, an extension for Chrome as well as an app for Android and iOS. Incorporating a magazine like UI and the power to organize and manage feeds from multiple sites, Feedly will keep you entertained for hours together. So you’re working or busy, and come across this really interesting looking article or video. You have no time to go through it but aren’t sure if you will remember to get back to it. This is exactly why you need Pocket. Again, it’s also an app for Android and iOS (soon coming to Windows Phone 8 as well). Pocket lets you save content for using later, sort of like a DVR box for the internet. It works offline as well, so simply select what you want to “pocket”, and you’ve got something to go to when you’re free, even if there’s no internet connection! Power users will often find themselves opening so many tabs on Chrome that they lose track of what they had opened and have to deal with slow responses. TooManyTabs is a great Chrome extension that lets you get an overall view of all open tabs with a preview, sorts tabs based on various criteria and even lets you search among them. But the best part is the ability to suspend idle tabs to save on processing power and memory. 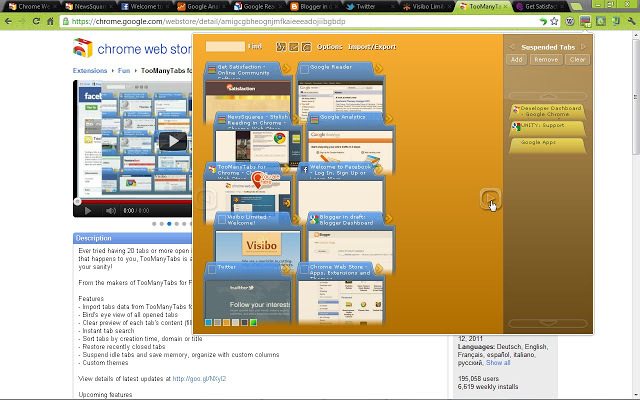 A great addon if you have the habit of opening everything in new tabs. Download Master is a simple extension that lets you download most media content from a page and anything linked to it, even if there aren’t any download links specified. This works well for sites that offer integrated music/video players and such, but don’t explicitly allow you to download. Unfortunately, this doesn’t work on YouTube videos due to the policy change. Those were our picks for the 12 best Chrome extensions, we’re pretty sure that there’s loads more, so do let us know if you think anything should be added to the list! Nice one, I was looking for this one! Very productive list. All are my favorites.